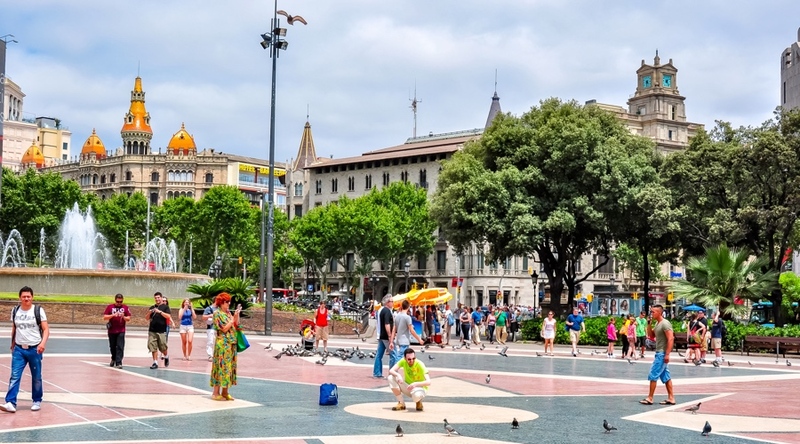 Visit one of the main and most tourist attractions of Barcelona - La Rambla. This is a pedestrian boulevard and the most famous street in Barcelona. 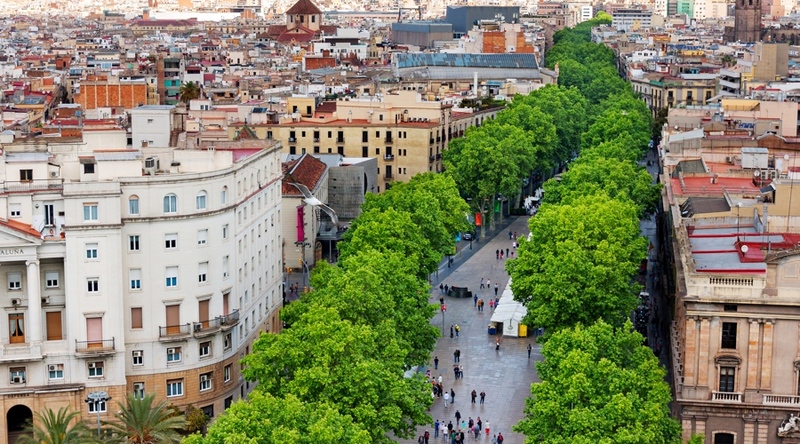 The Rambla Boulevard is divided into 5 parts, its total length is more than a kilometre. All 5 sections of the path are completely different. Each of them has its own history, riddles and interesting places. If you want to know more about this interesting place, book a Ramblas and Barri Gotic Walking Tour and discover tourist’s favourite attraction. You will learn the secrets of the La Rambla and find inspiration in great Picasso's works. Discover also how famous La Rambla was destroyed three times since it was created and a lot of other interesting information. 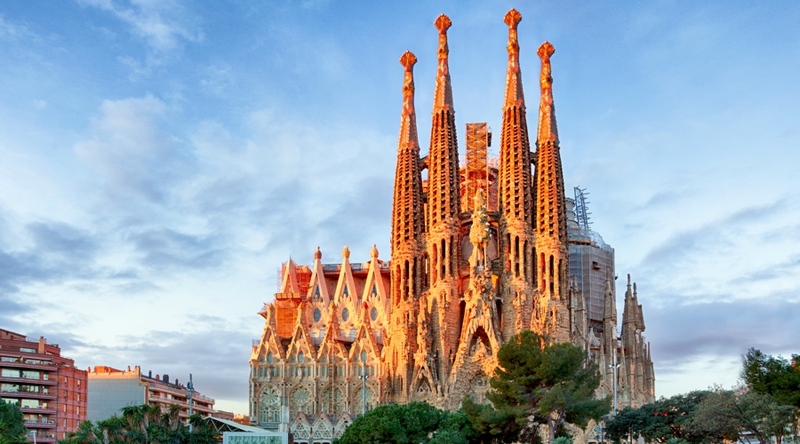 Sagrada Familia is on the top list of the best places to see and visit in Barcelona and in the whole of Spain. This is one of the most iconic works of Antoni Gaudi and probably the most visited attraction in Barcelona. Today Sagrada Familia cathedral is still under the construction. When the building is finished it will be the tallest church building in the world. Each facade of the Sagrada has its own special meaning, which the Spanish architect put in it. The church is open for visiting all year round. The extensive park was built by the Spanish industrialist and philanthropist Eusebi Guell. It was created according to the concept of the English city garden. To realise his idea Guell bought 15 hectares of land and divided it into 62 plots to build villas on them. However, citizens of Barcelona did not like the new project, and as a result, the idea of creating a city garden failed. 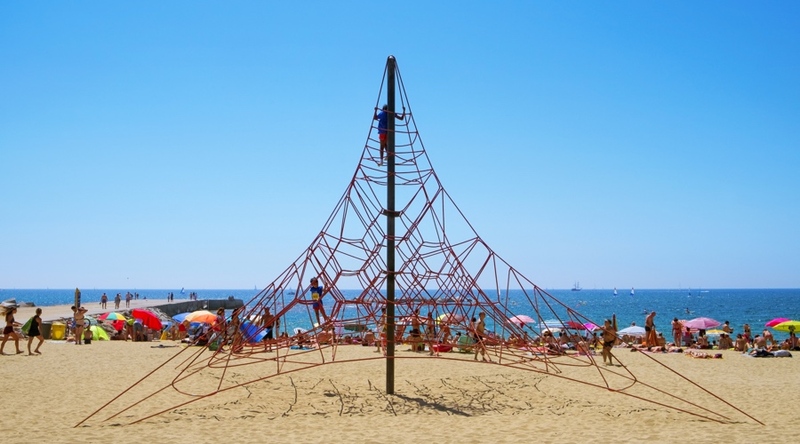 Today the park is the property of the municipality of Barcelona. Antoni Gaudi, with whom Güell worked since 1884, joined the construction of the park and the work was finished on 1914. Due to the participation of the Spanish architect Gaudi the park is so attractive for tourists and citizens. 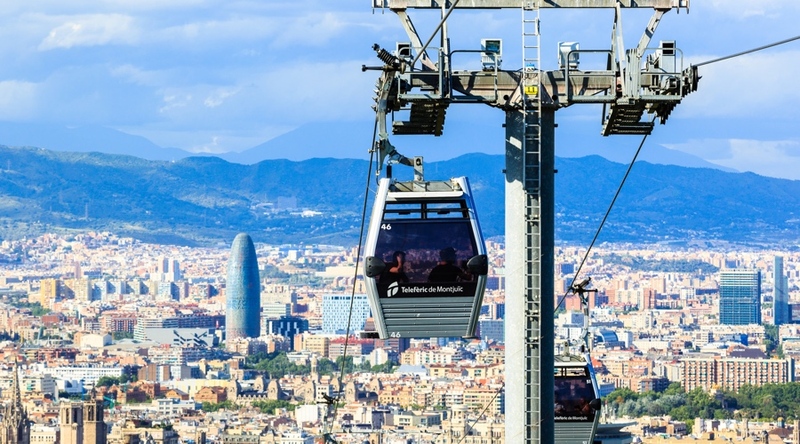 Today it is one of the best places to see in Barcelona and in Spain in general. 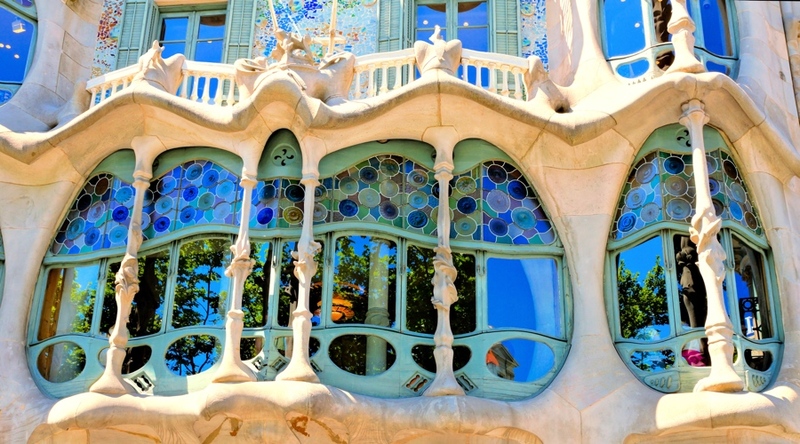 Among the many unusual architectural buildings of Barcelona it is worth noting Casa Batlló. The building is located on the street called Passage de Gracia. Together with the Casa Lleo Morera and Amalieu, Casa Batllo is an integral part of the Quarter of Discord, famous throughout Barcelona and Spain. According to historical chronicles, the house, built in 1875, was reconstructed and modernized by Antoni Gaudi. On the official website of the Casa Batlló, you can go through a virtual tour inside the building. There are also daily guided tours of the building during which you can explore this fascinating museum at your leisure. 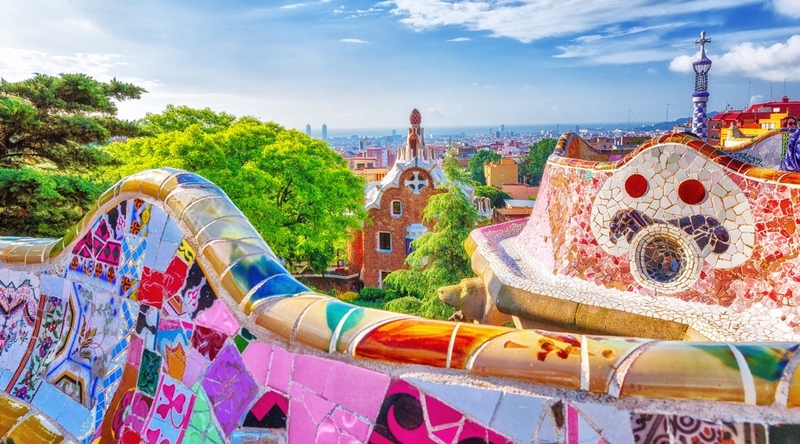 Discover Gaudi’s Casa Batlló in Barcelona with your admission ticket — also available on mobile. A smart guide is included in your entrance ticket, so put your headphones on and then set off to explore. Also known as La Pedrera, Casa Mila is a unique home in Barcelona, also created by the Antoni Gaudi. 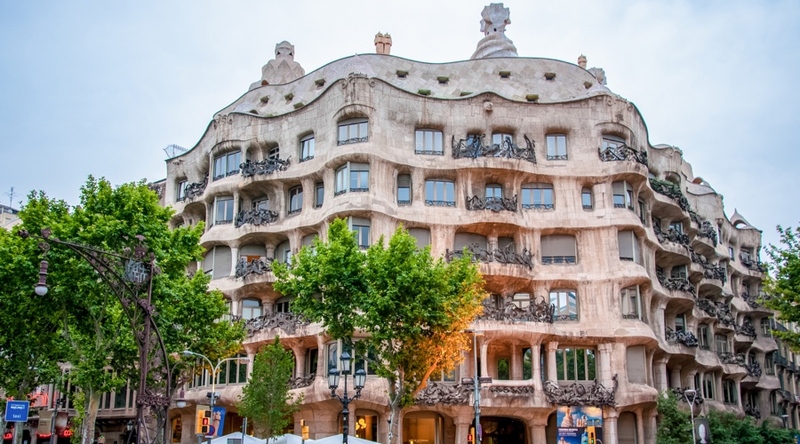 Located 3 blocks from Casa Batlló, this building was the last creative work of Antonio. Casa Mila makes part of UNESCO World Heritage Site and it is one of the best places to visit in Barcelona. Currently, Casa Mila is owned by Caixa de Catalunya. The mezzanine, which has an area of 1000 square meters, is used as an exhibition hall. During a tour of Casa Mila in Barcelona, you can discover a colourful apartment on the seventh floor, a terrace and an attic floor. You can learn about the history of Barcelona not only in its streets but also in the Barcelona City History Museum. It is located in the palace of the XV century. Earlier on this place were found the ruins of a city built during the rule of the Roman Empire. Today it is the largest City History Museum in Catalonia. It has not only the collections presented in the ancient Gothic palace, but also the house of Verdage, Pedralbes Monastery, King’s Square and even the entertainment centre in the Park “Güell”. In fact, Mount Montjuic is a hill with a height of 173 meters and the largest city park in Europe. Here the National Museum of Catalan Art, the Museum of Archaeology and the Ethnology Museum are situated. You can reach the top of the hill in several ways. If you like walking and are not afraid of stairs, then it is better to do it by feet. Actually climbing the hill will take around 15 minutes. More touristic and the most popular way is to use a red cabin. This cableway vehicle is called Transbordador Aeri, which literally means “Air ferry”. You can use it from 11 am and until 7 pm in the summer, in the winter it is open until 5:30 pm. About 5 kilometres of coastline are urban beaches, located in the areas of Ciutat Vella and Sant Martí. 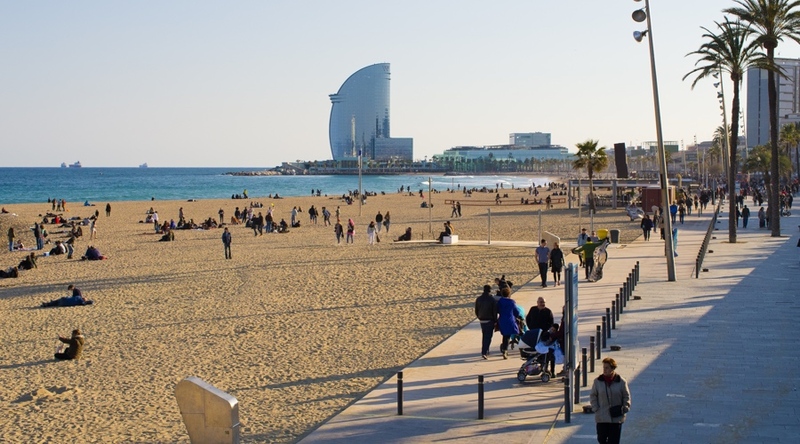 Despite the proximity of a large port, all the urban beaches of Barcelona are very well maintained. Most of them have the Blue Flag award for the cleanliness of the coast and the water in the sea. This is the city’s most crowded beach. You can find a variety of entertainment here: volleyball, table tennis, karaoke and even sandcastle competitions. Along the coast, there are a lot of merchants selling everything from alcohol (beer, mojito) to beach towels and massages. Another beach is really great for families with children. Bogatell is a wide, clean beach which is well suited for comfortable rest. It is equipped with toilets, showers, free luggage storage. There are also restaurants with excellent cuisine and a huge playground for children on its territory. This is the most sportive beach that locals love to visit. There are many spots to play football, volleyball, tennis, frisbee and ping pong. The beach has a length of about 415 meters and an average width of 81 meters. 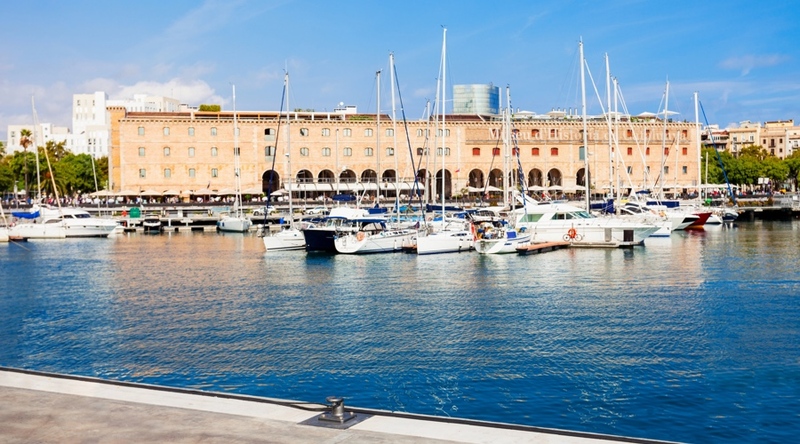 It stretches from the Olympic Port to the Bogatell breakwater. Plaça de Catalunya is located in the heart of Barcelona. It is very lively and there are always a lot of people on this square. It is from this place that the central streets of Barcelona begin - La Rambla Boulevard and Passeig de Gracia Avenue. Plaça de Catalunya is a real decoration of Barcelona. In its centre, there are flower beds, as well as great fountains and sculptural compositions. The square covers an area of more than 50,000 square meters. Despite its large size, there are always a lot of people here and it is quite crowded. Plaza Catalunya is popular not only among tourists, but it is also a common meeting point for locals. In this building, which has become one of the symbols of Barcelona, The Museum of Art of Catalonia and The Museum of Modern Art are located. Thus, having visited just one museum, you can enjoy the artworks of both Romanesque and Gothic styles, as well as Renaissance and Baroque eras. In the museums, you can enjoy the paintings of Casas and Rusinol, and also decorative art of Gaudi or Jujol. In addition to Gaudi, artists such as Fortuny, Gargallo, Julio Gonzalez and Tapies are represented in the contemporary art collection. 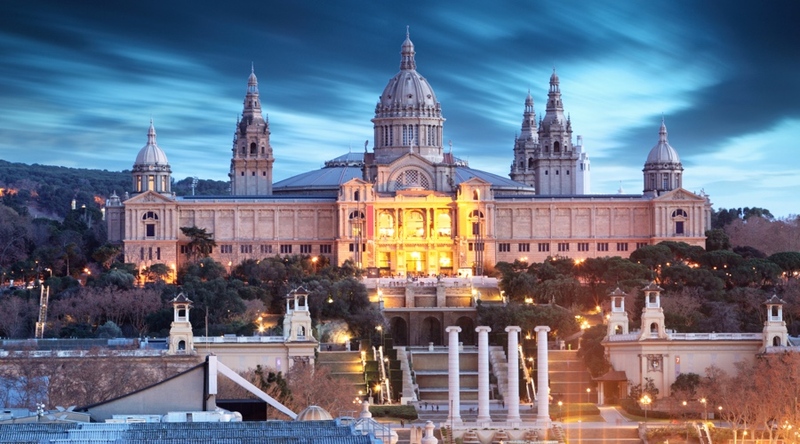 By the way, the National Palace building has one of the best panoramic views of Barcelona. Moreover, In the old Throne Room of the National Palace, the Òleum restaurant offers menus and dinners in the best traditions of Mediterranean cuisine. Also, those who are interested in art in Barcelona can visit the Picasso Museum . It is located in the Gothic Quarter on the street Moncada in a historic building off Calle Montcada in the Born district. The Picasso Museum of Barcelona has more than 3,500 works of the founder of Cubism. There are some drawings by Picasso made in pencil at the age of nine, as well as his best works of the “blue” and “pink” periods. The first Sunday of every month is all day and every Sunday after 3:00 pm entrance to the museum is free. The Palace of Catalan Music in Barcelona (Palau de la Música Catalana) is one of the symbols of the capital of Catalonia. It was designed and built by the famous Barcelona architect Luis Domenech-i-Montaner. Every year a huge number of people come to this palace to enjoy the musical works of art. 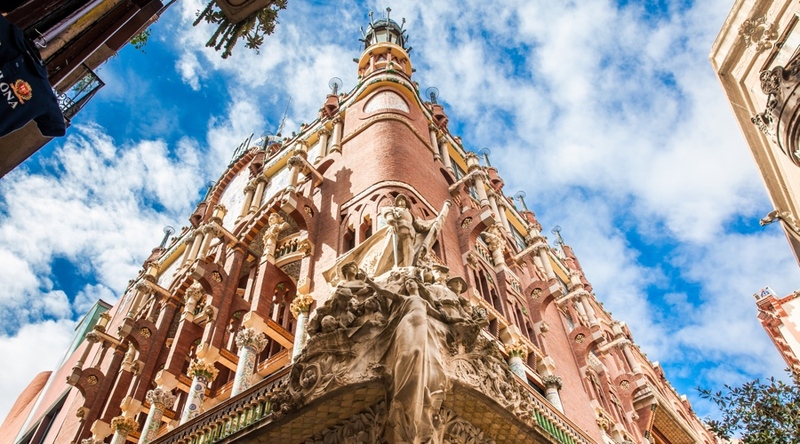 The repertoire of the Palace of Catalan music is varied, from symphonic compositions to jazz improvisations, from Catalan melodies to modern music. Currently, the Palace of Catalan Music is open to all tourists in Barcelona. In addition to concerts, guided tours are organized for everyone. You can get inside the palace only with a guided tour. 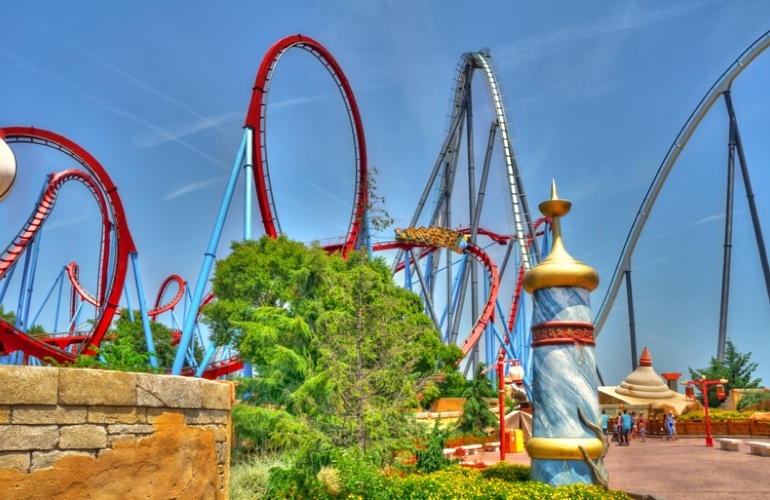 Travel to Spain’s world-famous Port Aventura theme park, set along the sun-drenched Costa Dorada, with this admission pass to the park and transport from Barcelona. This amusement park offers different activities from thrill rides to kid-friendly play areas for the whole family. Numerous zones have a variety of defferent rides, offering everything from jaw-dropping thrills to more calm amusements. Zoom down the Shambhala, the highest rollercoaster in Europe, which drops from a 256-foot (78m) peak, or strap in for a trip on board the Furius Baco, an acceleration ride that tops out at 84 miles (135km) per hour. The Shambhala is the highest rollercoaster in Europe, which drops from a 78m peak. For those feeling hungry, enjoy one of the park’s many different restaurants with international cuisines. You will finish your day trip by meeting back up with your guide to get back to your departure point in Barcelona. Montserrat it is a monastery built at an altitude of 725 m above sea level and situated 50 km away from Barcelona. It is the spiritual symbol of all Catalonia and the centre of pilgrimage for believers from around the world. Here is the main shrine of the abbey - the Black Virgin of Montserrat. During this day trip, you will enjoy a scenic ride aboard a cog-wheel train, visit the Royal Basilica to see the Black Virgin, and take a walk along the unusual rocks. You can see the Black Virgin for free. However, there are donation boxes at the beginning and at the end of the stairs leading to the Black Virgin. 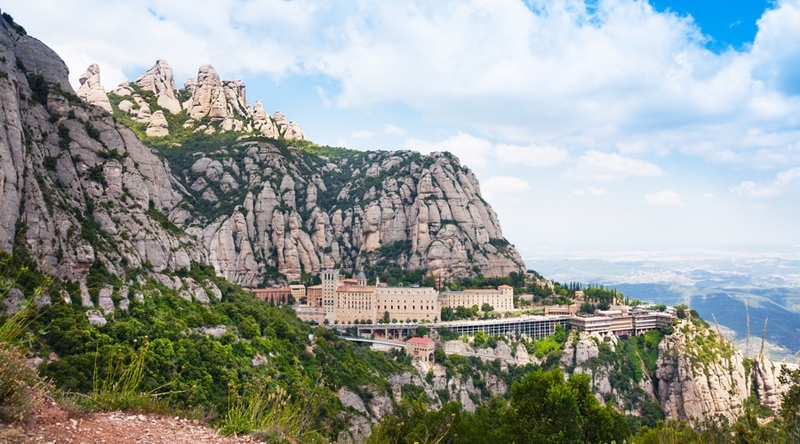 Depending on how much time you have, you can take a half-day tour or a full-day tour to Montserrat from Barcelona. A full-day tour may also include a visit to the winery with local wine tasting.